OK, It’s not really a henge. And it’s not really a mystery. But it is something to behold. 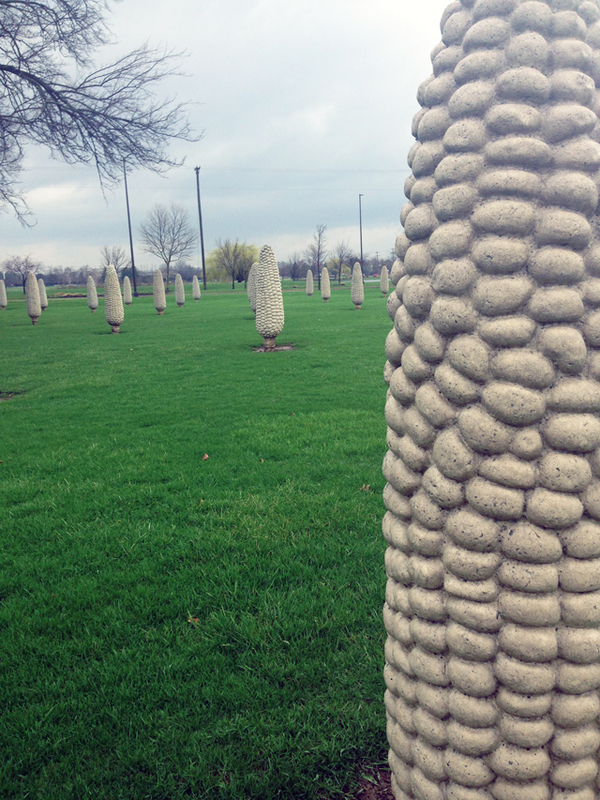 Welcome to Cornhenge, 109 concrete ears of corn, each standing 6 feet 3 inches high, in Dublin, Ohio. Though its official name is Field of Corn (with Osage Oranges), the art installation received its nickname from locals who weren’t thrilled about using tax dollars to pay for massive corn cobs. 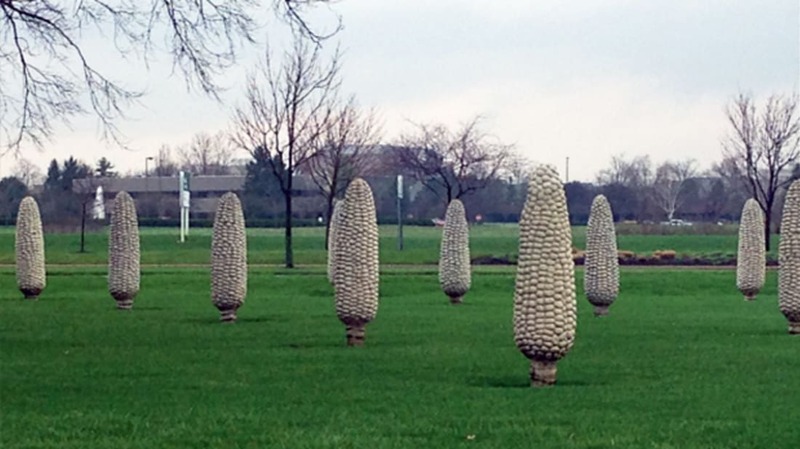 Artist Malcolm Cochran intended for the piece to pay homage to Ohio’s agricultural roots, but later discovered that the chosen location was perfect for another reason: The site’s previous owner, Sam Frantz, had developed several hybrid corn varieties on the property. Though the ears of corn may look perfectly uniform, the statues were made from four different molds, each one featuring a different pattern of kernels. Each concrete “planting” was then situated differently, so that no ear of corn is quite the same in the field.